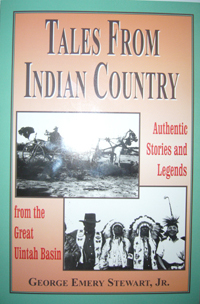 Educators and history buffs in Utah will be happy to find Tales from Indian Country: Authentic Stories and Legends from the Great Uintah Basin by George Emery Stewart, Jr.
George Emery Stewart, Jr. was one of those colorful ‘old timers’ whose life spanned the ‘old days’ and the ‘modern days.’ He was born in Vernal, Utah in 1906. Because his early playmates were Indian boys, he spoke Ute fluently. Through this close association and friendship with the Ute tribe, he developed a keen understanding of their ways and beliefs. He respected and defended them throughout his life. He was a member of the Utah Historical Society and the Utah Western Historians until his death in March 1990. 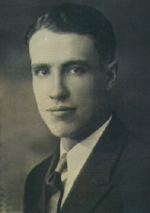 George Stewart, a practicing attorney in Roosevelt, also wrote articles for the Salt Lake Tribune and Early West. Did Yeti Once Roam the Valleys of Utah? Purposely, or inadvertently, one of the most colorful events in the history of Utah has been overlooked by historians for many decades. Only lately, has the legendary event gained any notice from western writers–most of whom keep their eyes forever glued on the entrance of the Saints into the valley of the Great Salt Lake and its environs. This, then is a short story dealing with the event known to most old-timers as “The Opening.”Read my favorite story from this book, The Cottontail. Order a copy of this 320-page paperback book (reg. $19.95) for $16 plus $7 shipping.